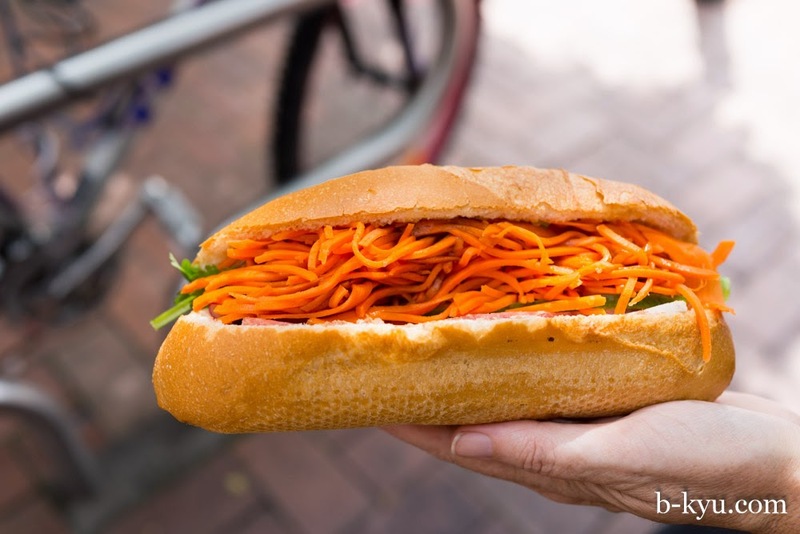 How many different type of Vietnamese bread roll fillings can you think of? 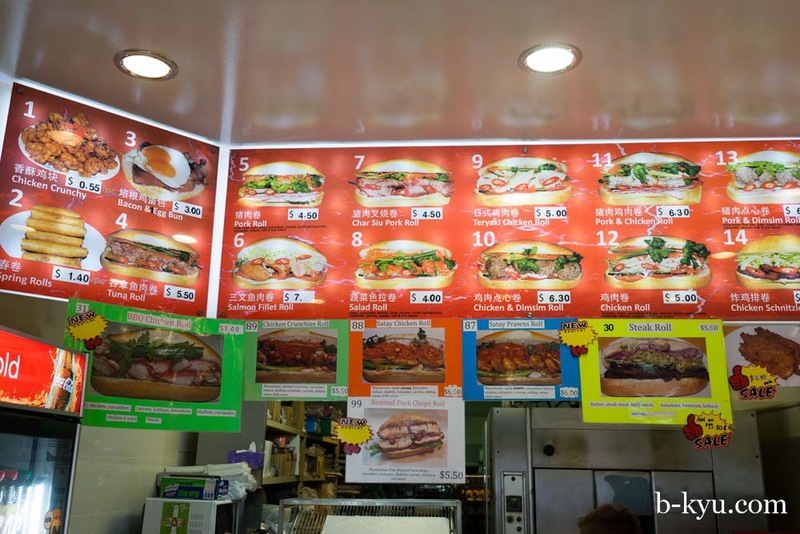 We bet King's Hot Bread in Hurstville makes them all. This bakery along Forest Road in Hurstville has a somewhat cultish status for its bread rolls. It wasn't packed when we arrived but by the time we had taken our rolls the line was out the door. It's a bit of a head scratching choice when you get to the counter. There must be at least 20 different fillings to choose from. So many ways to have pork stuffed into a bun. 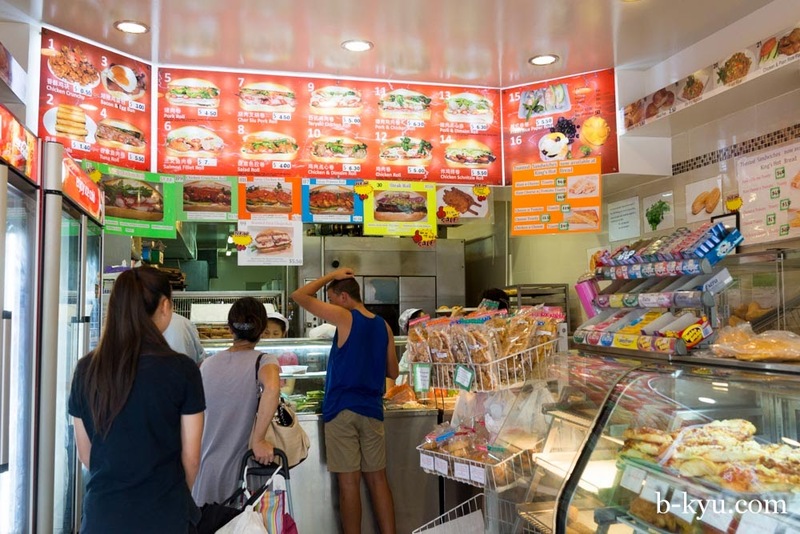 Cha lua, Char sui, roasted, with chicken and with dimsims are a few options. 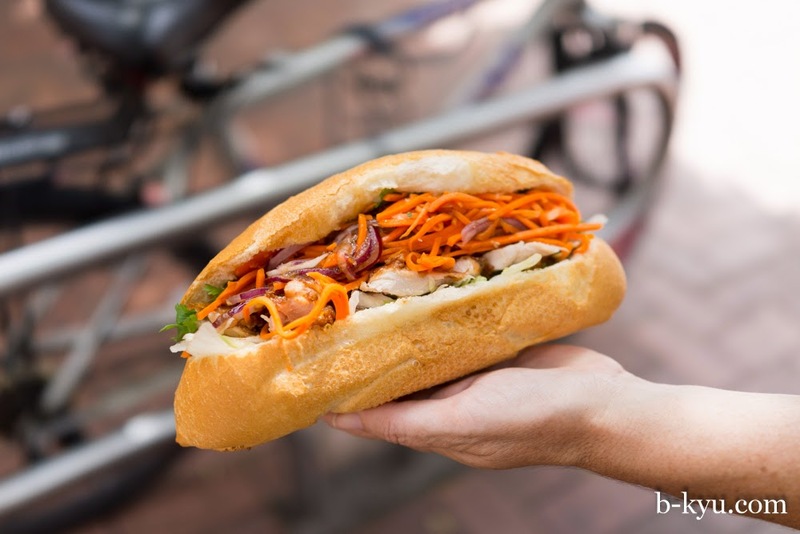 There's chicken in multiple ways (try BBQ, satay, shredded, schnitzel or teriyaki), steak, buttered or satay prawns, salmon, tuna, bacon and eggs for breakfast and even just a plain old salad roll. It's the chicken crunchies roll that catches Shawn's eye, $5.50. Crunchy bits of deep fried chicken are sliced up and mixed with loads of grated carrot and salad. This is a step above the normal shredded up bits of chicken you might find elsewhere. It's the traditional pork roll that Alison just can't get enough of, $4.50. The layers of pork are fine but the huge amount of orange shred is a little overwhelming. The rolls they use here are shatteringly crisp, find a spot in the pedestrian refuge across the road and let the pigeons go wild on the crumbs. 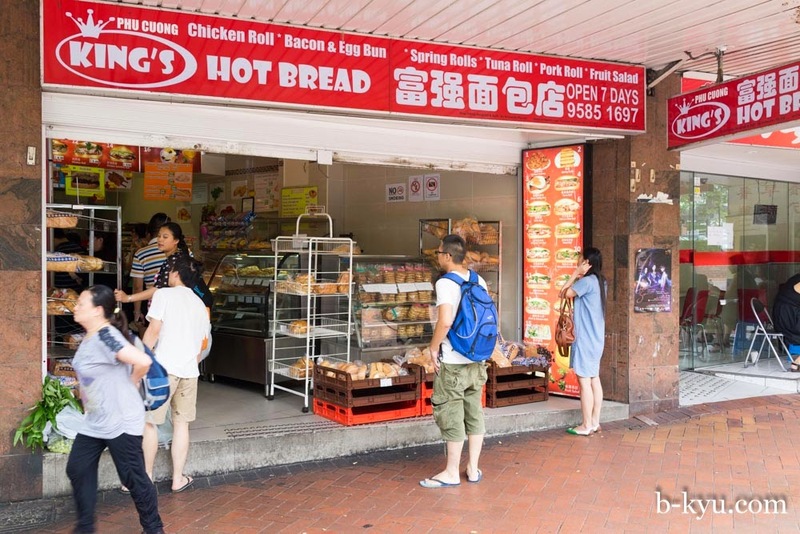 King's Hot Bread is at 240 Forest Road, Hurstville.